How Does A Charlotte Marketing Agency Work? - Lawrimore Inc. Introductory Meeting – Professional marketing begins with an introductory meeting where you get to talk about your business, what you want in terms of marketing and growth, your budget or other limitations, and other things that are important to you, while the marketing folks listened intently and ask probing questions. There should be no charge for this first meeting. It’s often said that when you buy a professional service, you are buying your trust in individuals. So this is a first opportunity to develop mutual trust, understanding, and chemistry. If you feel comfortable with these marketing agency people, that’s a good sign. If not, thank them for their time and keep looking. Proposal – The marketing agency should give you a proposal in writing stating what they propose to do for you, the cost, measurables (metrics) and terms. If the agency is proposing a website or brochure, one metric would be number of pages. If it’s proposing a PR campaign, another metric would be number of press releases. For advertisements, number of ads and media. Without something countable, there are likely to be disappointments on both sides. As far as payment is concerned, you may be asked to make a deposit up front if you are a new client, but once you establish good credit by paying on time, that should not be necessary. Either way, be sure you understand the proposal and ask questions if you don’t. 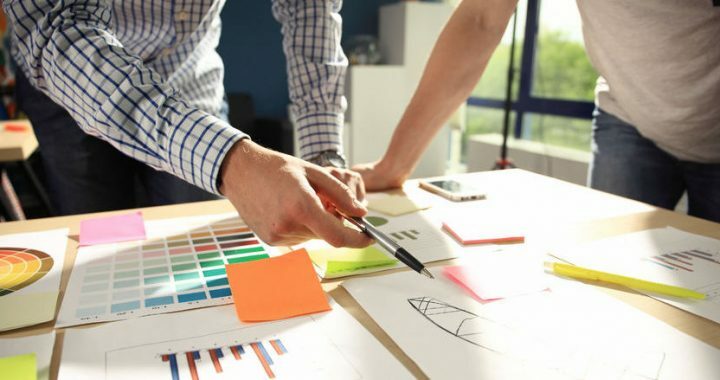 Research – Good marketing depends on concrete facts, and a good marketing agency is going to do some kind of research before shifting into the creative phase. This may be as simple as asking you a lot of questions, but it can also be very valuable if the agency interviews at least a few of your own customers to understand what they want, need and perceive regarding your products or services. In professional marketing the “territory” is not so much a geographical area as it is the minds of the target markets, including existing customers and prospects. The more your agency understands the target market, the better they can help you increase your sales. Market research can be as little as an extra $1,000 up to five-digit budgets for large campaigns. So consider it a wise investment in your success. Feedback – If you’re paying your agency to interview your customers, be sure to get a report on what they learned. We have often found even with about 10 customer interviews that we get insights into how our clients can improve their business, client satisfaction or retention. So if there’s something you can improve right away, do so! Planning – This phase involves planning the components of the marketing content in more details, such as core message, number of pages or exposures, and multiple components if your budget allows for a marketing campaign with multiple media, messages and activities. With a small-budget project the agency’s planning may be informal and internal, but with a larger marketing campaign you as the customer should have the opportunity to see and respond to the plan before it is enacted – before more of your money is spent. Creative – Depending on the creative marketing to be done, your agency may develop a “creative concept” before going further. This is essential for advertising and TV commercials, as well as projects like websites and brochures. The creative concept is a creative idea that provides a rationale for the message to be communicated while enhancing your brand and resonating with your target markets. McDonald’s sales increases when one of their ad agencies in Germany came up with the “I’m Lovin’ It” creative concept. If you’re on a tight budget, you may not get a dynamic marketing phrase out of this phase, but still the agency needs to develop some kind of focus for the message that stands out from the competition.Again depending on the project, the agency should begin writing words or gathering/planning photos to go with the creative concept. You should be able to see the draft of any written message so you can review and respond. Some other behind-the-scenes creative work may or may not be shared with you, depending on your budget, because in its early stages creativity is somewhat fragile and needs to be developed before presenting it to you as the client. Still this is all part of “what do you do” of the marketing process. Production – The creative phase flows naturally into the production phase. Now the final marketing product begins taking shape. Web pages or brochure pages are produced, advertisements are designed and refined, words and pictures and other components come together as the product is “built” for marketing use. You should have a chance to see the finished product and respond before it is finalized – before the website goes public or the brochure is printed etc. Publication/Delivery – Depending on the media, this is the final stage of distributing the marketing media to your target audience. In some cases such as a website or commercial the agency will “deliver” the product to the general public or the media which will carry it. In other cases such as a brochure it’s up to you and your team to use the brochure as you interact with customers and prospects. Measurement of Results – Effective measurement is a shared process between you and the agency. For websites the agency can measure and report traffic counts and contact forms used. In other cases you will need to track and be responsible for converting new prospects into paying customers. A professional marketing agency will stick with you to see what results from everyone’s efforts and determine if improvements, new directions or other forms of marketing are needed. Lots of repetition is usually required for best results. There’s a famous marketing formula known as AIDA which stands for Awareness, Interest, Desire, Action. This is one way to illustrate that four repetitions of the marketing message may be needed before a prospect takes action and contacts you. But think about how many times you see a TV commercial – dozens or more. That’s because the sponsor knows not only that repetition is needed to reach new prospects, but sometimes it also helps remind existing customers as well why they bought the product or service and why it is better. If you’d like to have a conversation with a Charlotte marketing agency that is not only professional but also genuinely cares about the well-being and success of each client, contact the Lawrimore team using the contact form right on this page or call 704-332-4344. Remember the first meeting is free.